At the campsite Les Rives du Lac, we are passionate about nature and our desire is to make you discover our passion, to you, but also to your children. That is why we have implemented a horseback ride circuit during which your children can discover both the landscapes of the Hautes Alpes, but also understand a pony. 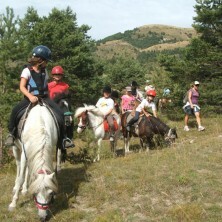 Of course, it is also possible to go horse riding just 300m from the campsite. 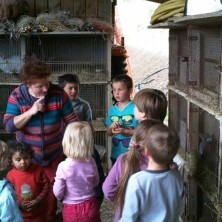 Introduce your children riding thanks to our partner Equisoleil. 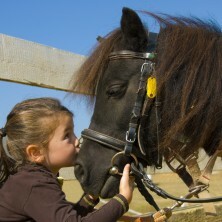 Accompany your child to a small ballad 10 minutes à Poney, from the campsite, every Monday at 17:30. And if it pleases, then he can begin & rsquo; riding just 300m from the campsite !